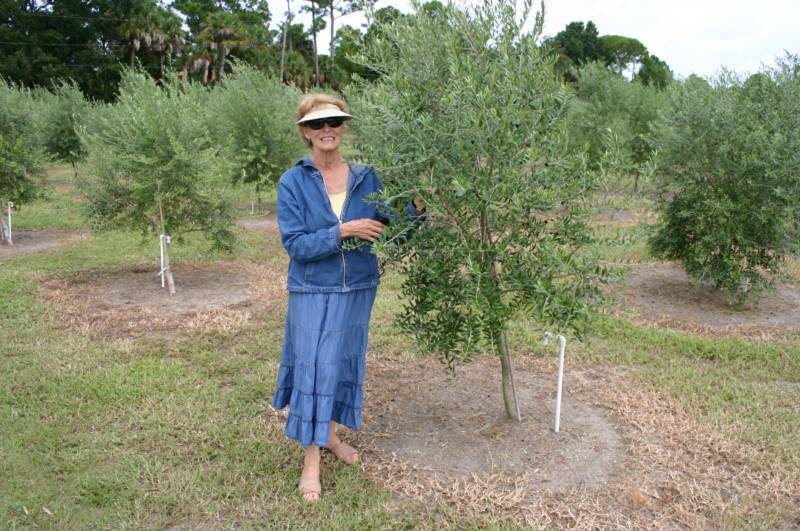 A new olive grove in Port Orange, Florida. Our advice and natural products produced a bountiful olive harvest 18 months after planting! AZOMITE® - a natural volcanic pumice product that completely mineralizes your soil. 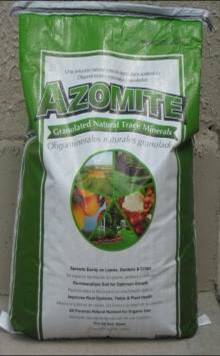 AZOMITE® is an incredible bio-available fertilizer supplement that supplies over 70 major, secondary, and trace minerals. AZOMITE® has a high level of bio-available silicon (as silicon dioxide unlike sand which is unavailable silicon oxide) and good levels of potassium, calcium, and magnesium. Azomite eliminates "hidden plant hunger". Premium-blend Compost - has over a dozen natural minerals blended in, takes seven years to make the base compost, is composted again for another year, and is a compost that "grows like no other". Our own specially formulated Premium-blend Compost provides you a perfect "instant plant food and growing medium" that keeps on releasing for more than a year. Just a light top-dressing once per year maintains an ideal growing medium. Olive trees (fruiting varieties) - self pollinating varieties for commercial production, home, or landscape. Arbequina is our variety of choice. 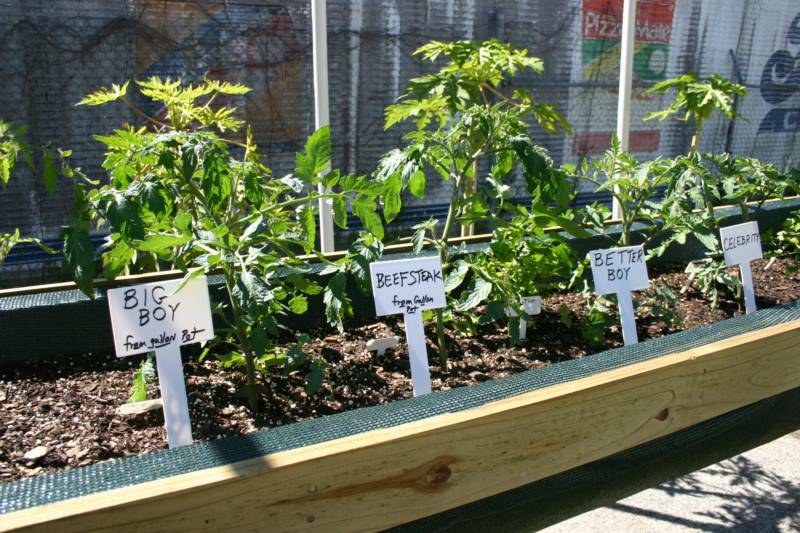 Custom-built Raised Garden Beds - built in house and installed for home or commercial production of vegetables and flowers using the finest construction materials and our own Premium-blend compost. Call us today for a complimentary free estimate. GroCal MGB - the only liquid Calcium formulated with high levels of Calcium along with other key minor elements to enhance the uptake of Calcium. Agri-Fos - a systemic phosphite fungicide (phosphorous acid with potassium) for highly effective, systemic control of various plant diseases. Liquid Potassium Silicate (Stimp-up) - a great plant nutrient that works as a fungicide and insecticide - improves over-all plant quality and hardiness. Super Hume with Seaweed - Humic Acid with high fulvic acid blended with liquified kelp - great for enhancing mineral uptake and providing trace minerals in an organic formulation that the plant can instantly absorb and readily translocate throughout the plant. Improves plant metabolism and helps prevent xylem and phloem blockage caused by disease bacterium and hard to translocate forms of trace minerals. 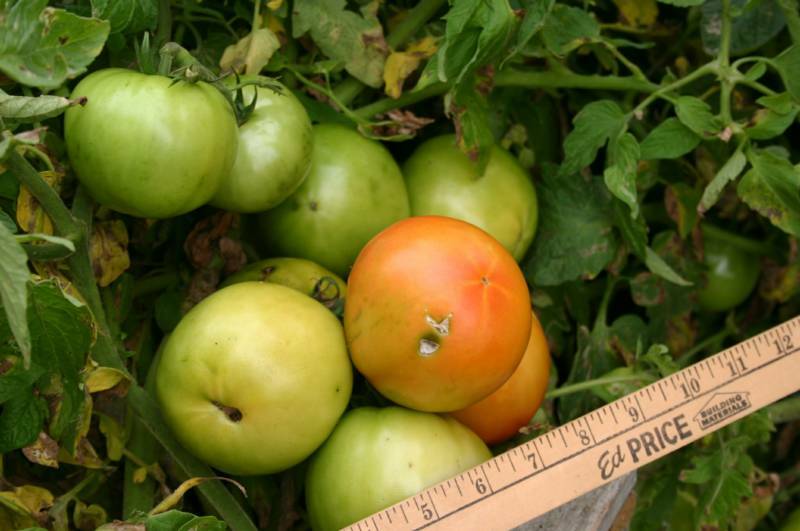 Helps improve plant health, yield, quality, and cold hardiness. 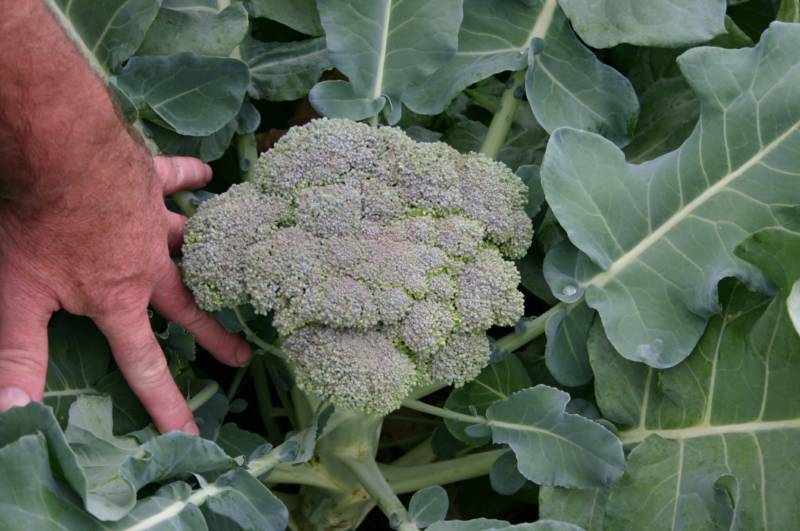 incredible broccoli in 2 months from a small bedding plant. 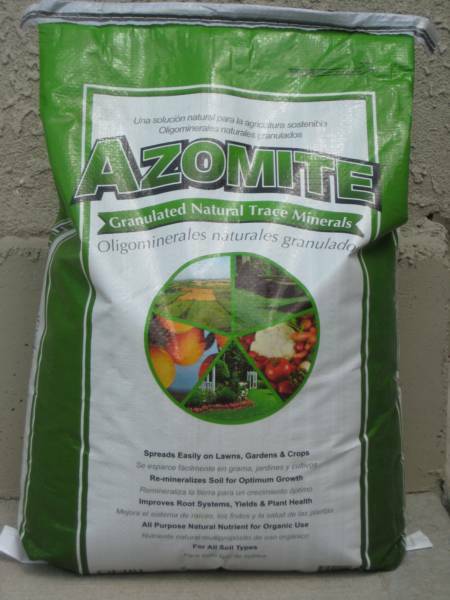 AZOMITE® mineralizes soil and grows incredible crops, beautiful turf, pastures, and greens. It also is a great livestock feed supplement. Just a short distance from the Atlantic Ocean in Port Orange Florida, this grove of Arbequina olives is just 18 months old (Fall, 2010). The olive trees were 18 inches tall when planted - they now stand over 8 feet tall with olives already on the trees. Wholesaler & retailer of fine quality natural nutritional products, including Azomite. Our Nursery has 50 varieties of fruiting plants & selected ornamentals. Arbequina Olives, Citrus, Pomegranates, Stone Fruits, Avocadoes, Blueberries, Grapes & vegetables are specialties! Read about our great selection of nutritionals in the "Products" pages. Click the link below to see Youtube Video of Azomite. 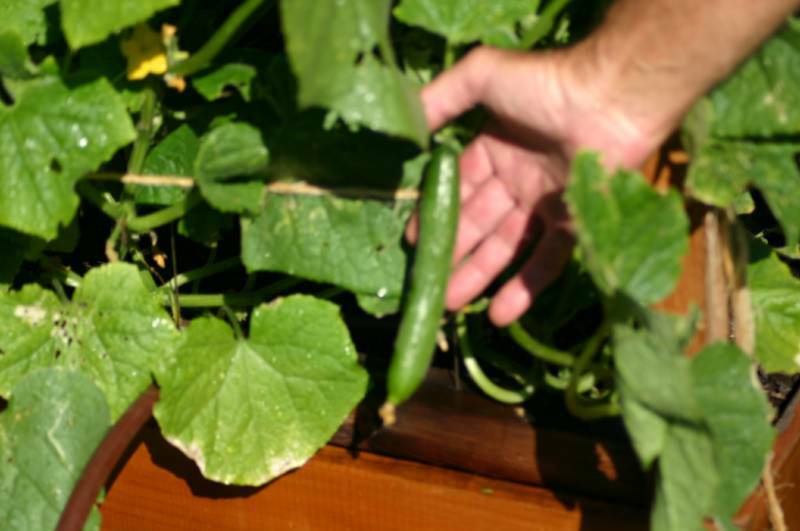 Use the best Organic Fertilizers on your farm or garden! Dragon Fruit Supplemented With Azomite. Click the link below to see Youtube Video on Azomite. 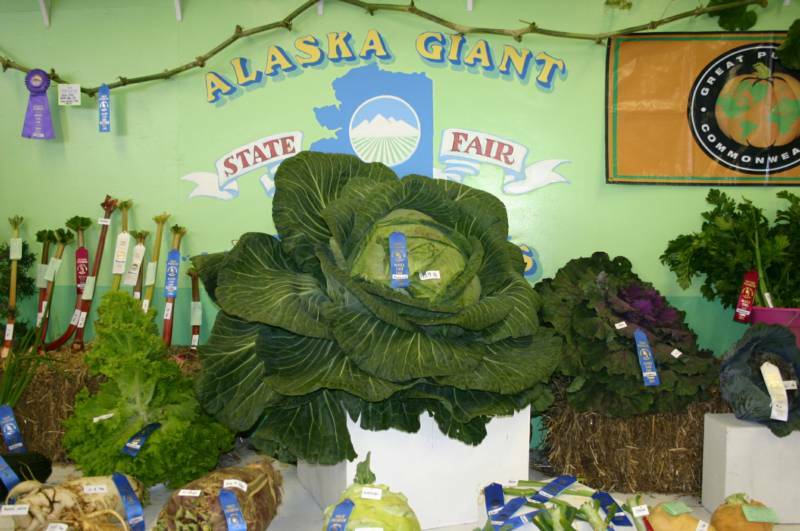 Grow Larger & Better Vegetables with Azomite volcanic mineralizer. For youtube video click on link below. We are located in the beautiful "Tree City" of DeLand, Florida in the northwest part of the city. From Interstate 4, take S.R. 44 west toward DeLand. Drive just past the beautiful and historic downtown (becomes New York Avenue in town) and turn right (north) on Spring Garden Ave. (S.R. 15-A), go 2 miles and you will find us on the right (east side) at 1639 North Spring Garden Avenue, DeLand, FL 32720 (at the corner of Greens Dairy Rd.). From the south, take U.S. Hwys. 17-92 to DeLand, then take a left on Spring Garden Ave. (S.R. 15-A) and go 2 miles past S.R. 44 - we are on the right. From Pierson and DeLeon Springs, take U.S. Hwy. 17 south to DeLand, then bear right on Spring Garden Ave (S.R. 15-A). Go two miles and we are on the left at the corner of Greens Dairy Road and Spring Garden Ave.
We at Quality Green Specialists, Inc. meet your agricultural & horticultural needs with the highest standards of excellence. We provide reasonably-priced consultations, testing, and products for agriculture & horticulture to promote more productive agriculture & horticultural practices. We discourage excessive use of toxic chemical fertilizers & pesticides which are over-used and destroy the health & microbial life of soils. After all, healthy, beneficial microbes convert unavailable minerals to ionic forms roots absorb. We sell natural & organic products and recommend techniques that work better in every way, including lowering your costs. Soil should be improved with natural fertilizers, minerals, and other natural inputs, as water, soil & plant tissue testing indicates. That is why we sell Azomite® volcanic pumice - the finest quality natural volcanic mineralizer (OMRI listed for organic growing) & our own unique fertilizer blends. Our products are unexcelled in promoting the health of the beneficial microbial life in the soil, a key reason our soil & plant quality programs work so well. Our soil inputs greatly reduce the parasitic nematode population by promoting predatory nematodes and other beneficial microbes. We even add beneficial microbes to our products! 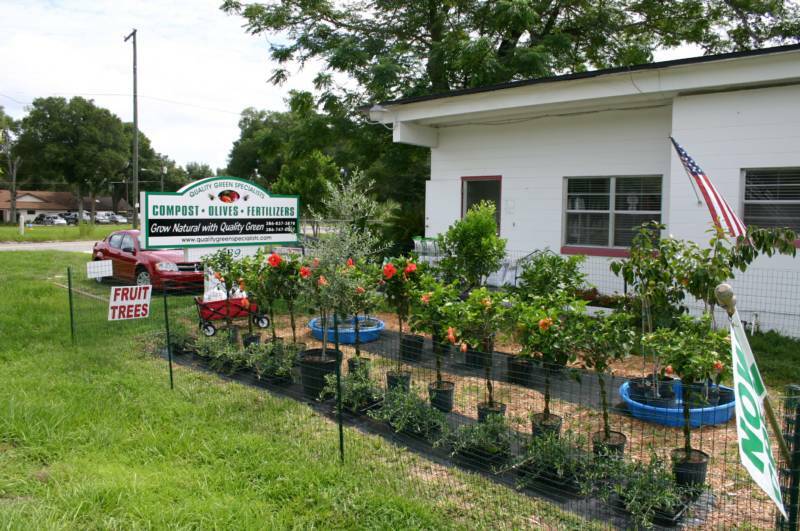 Come see our new Showroom, Garden Center and Fruit Tree Nursery at 1639 N. Spring Garden Ave. (S.R. 15A) in beautiful DeLand, FL 32720. We are open Mon. through Sat. 8:00 a.m. to 5:00 p.m. Improve production. Save money with better products. Call Dana at 386-837-3878 or Allen at 386-747-0567. We are fully stocked with Azomite & natural/organic plant foods. Pictured: Micronized & Slow Release formulations in 44 pound bags. We also have 2,000 pound totes. We are ready to serve you with a warehouse full of Azomite. Pictured: Granulated formulation in 44 pound bags. There are 50 bags on a pallet. 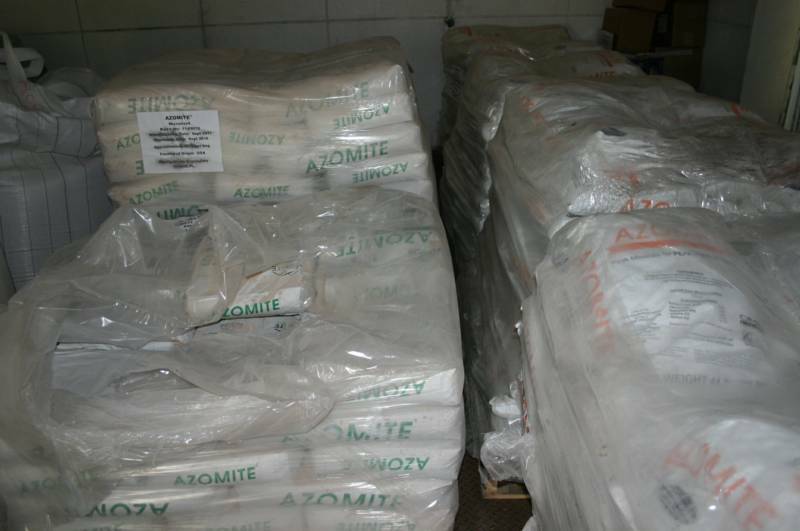 We also have Granulated Azomite in 10 pound bags and in 2,000 pound (one ton) totes. 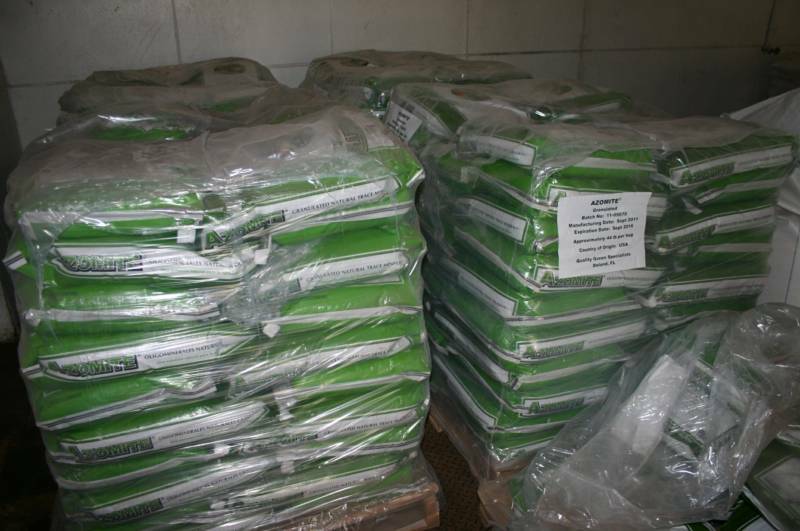 Quality Green Specialists, Inc./Green Crop Nutrition has an unmatched selection of liquid fertilizers in quarts, gallons, 2.5 gallons, 5 gallons, drums, and 275 gallon totes. Call us for great pricing and reasonable delivery/freight charges. 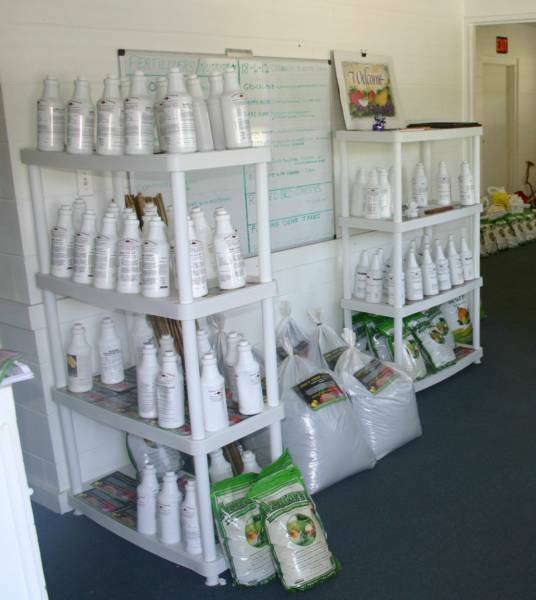 Shown: Our Showroom quart liquid fertilizer displays. 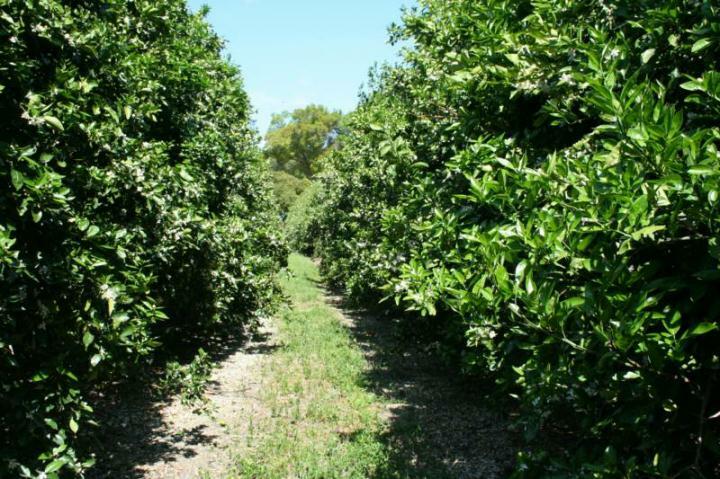 We have over 50 varieties of fruit trees and fruiting plants. Our specialty is fruiting Arbequina olive trees that produce olives for table or oil and leaves for olive leaf extract. 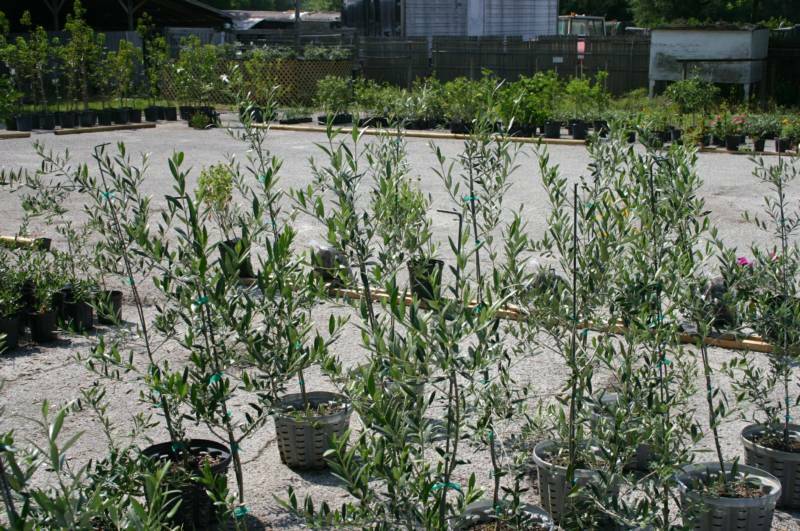 Olive trees grow incredibly well in Florida and the southeastern United States. They also make great trees for landscapes. We have large liners, gallon size, 3 gallon, 7 gallon, and 15 gallon trees. Pictured: 3 gallon trees in root accelerator pots. We also have flowering Hibiscus and Crape Myrtle trees as well as Coontie, a native Florida Cycad. 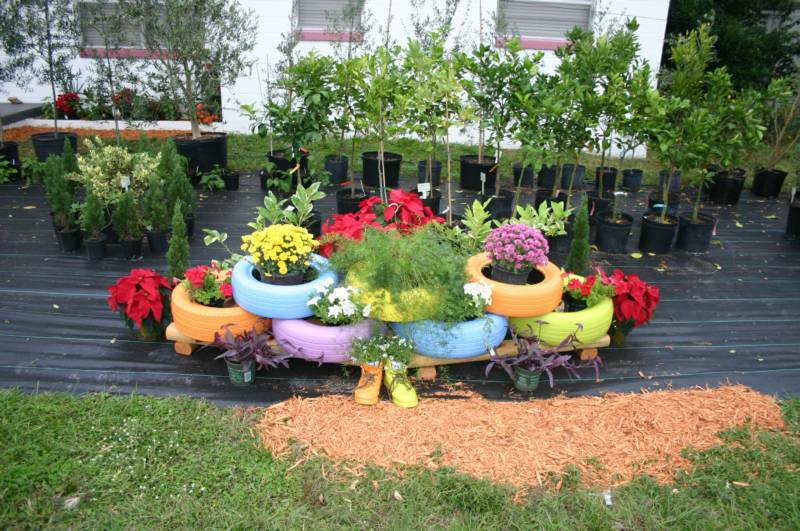 Our painted tires and colorful flowers welcome you to our innovative Garden Center, Store , and Beautiful Fruiting Tree & Plant Nursery. Our "Easy Air Garden" with our potting soil & compost held in a U-shaped "hammock" of high quality 60% shade cloth. No more ground infections or infestations!